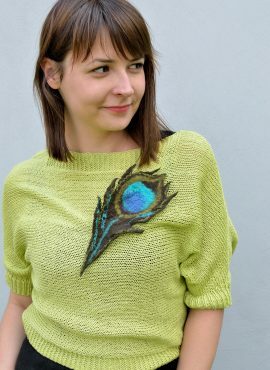 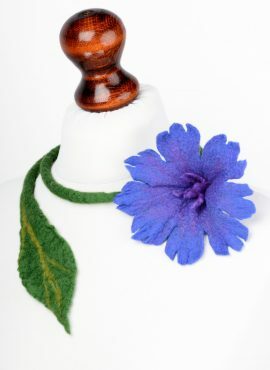 Felt peacock brooch designed for women who love outstanding jewelry. 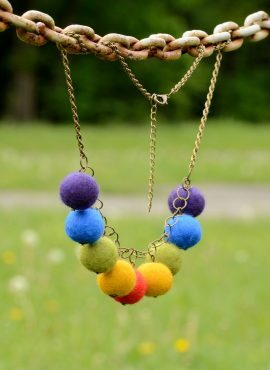 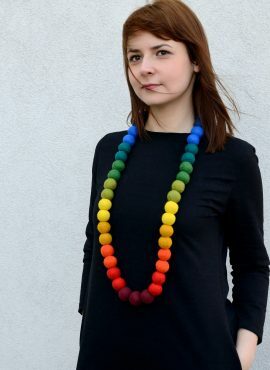 Pin it to your blouse, handbag or dress and feel like a beautiful and colorful bird! 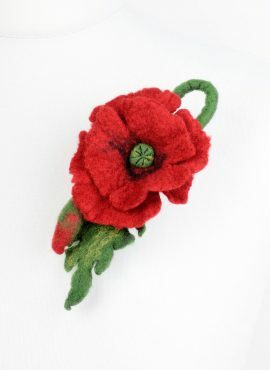 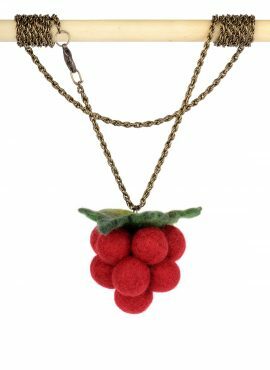 Felt poppy brooch which is always trendy and can spice up any wardrobe. 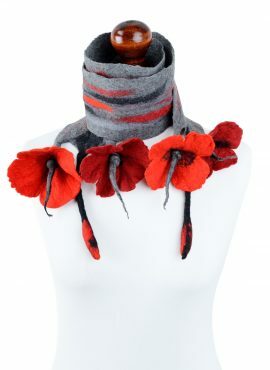 Try this red flower jewelry yourself or give it to someone you love. 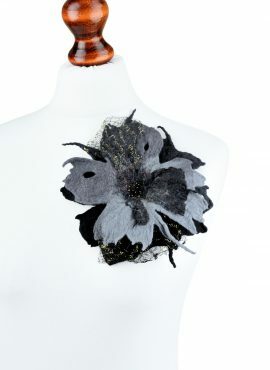 Gothic felt brooch perfect for women and girls who love Gothic and Victorian style. 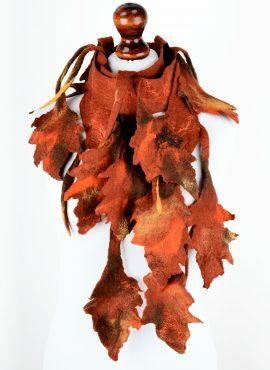 It will be a great addition to a Goth costume and a nice gift for every Emo girl. 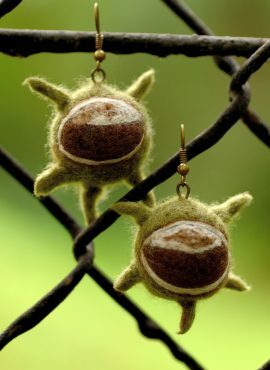 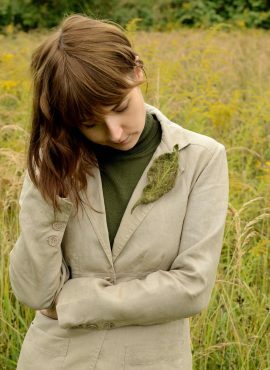 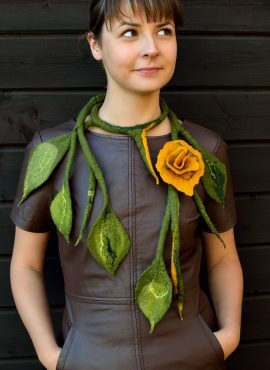 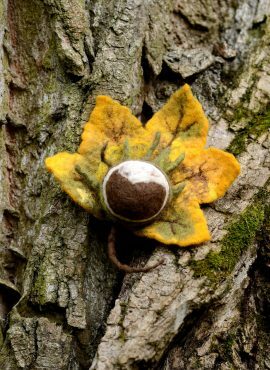 Green leaf brooch for every season felted of merino wool and silk fibers. 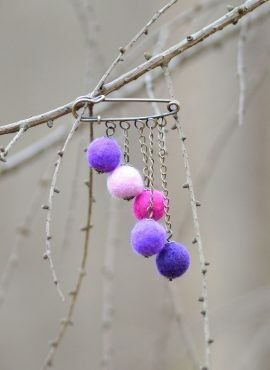 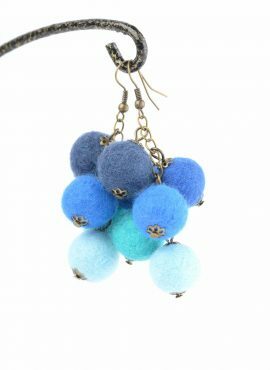 It will look beautiful pinned to your dress, jacket, sweater or coat. 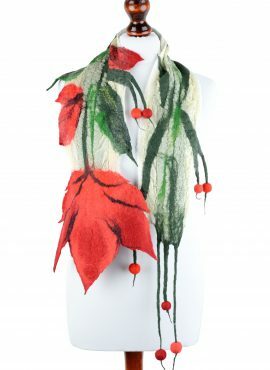 Modern nuno felt scarf made on a silk fabric with red geometric pattern. 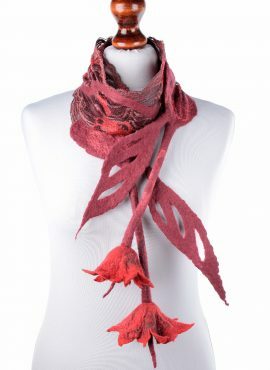 It has a felt fringe and many red tones ranging from pink to marsala. 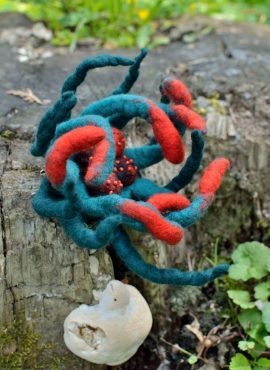 Ocean inspired anemone brooch with arms spreading in all directions. 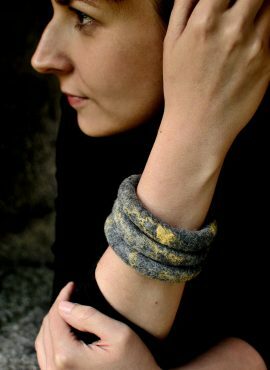 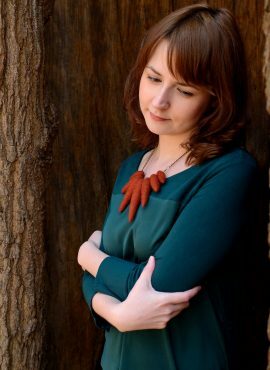 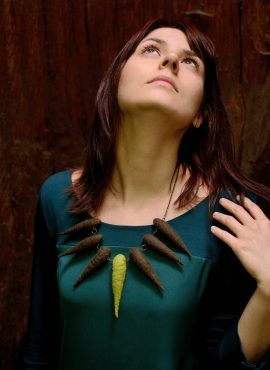 This coral reef jewelry is perfect for women, who are passionate about seas, oceans and sea creatures.